NTA International Travel Division specializes in assisting incoming travelers visiting Japan from all over the world. Ever since the company was established in 1905, Nippon Travel Agency has concentrated its efforts in producing quality travel, responding to the needs of the times while anticipating the demands of the future. 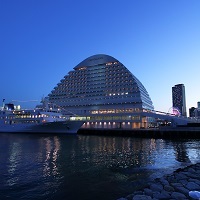 DMC Japan, KNT-CT Global Travel Co., Ltd.
We have been a leading DMC in Japan since1947, providing total support to visitors to ensure their safety and comfort while satisfying their travel needs. Our hospitality professional design plans customized to individual client needs to create lasting memories. Esprit Golf is the leading golf tour company in Japan, offering high end golf & tour packages all over Japan. We make original VIP packages including the finest golf courses, hotels and cultural experiences in Japan. For Business to Business partners, we make very special plans for their customers meeting their requirements. If the partners don’t know how to make Japan trips, we are here to help them. We can offer them our recommended (sample) plans with the quotation – we can arrange all necessary bookings including golf, accommodation, private transfers, sightseeing, tour guides, etc. “Japan Golf Travelers Club” carefully selects golf courses in Japan that enthusiastically welcome golfers from overseas, and introduces their attractions to the world’s golfers through film, photographs, and other types of images. In addition, by introducing accommodation facilities near golf courses, we provide information about golf tours in Japan that has never before been available. We not only make tee time and accommodation reservations, but also respond to requests for transportation, interpreting, etc., and also provide all the functions of a concierge for golf touring in Japan. ANA Sales is a sales company responsible for the business revenue of the ANA Group through the dual enterprises of “Flight Sales Operations” and “Travel Operations”. Flight Sales Operations are the business division responsible for ANA flight ticket sales through ANA Group's marketing & sales department. To attract more ANA customers, we conduct various business activities for travel agencies, businesses, and individual customers. Travel Operations is responsible for the creation and sales of travel packages consisting of flight tickets and accommodation. The hotel's location, surrounded 270 degrees by sea, gives you stunning views of the ocean, harbor and city from room balconies. The night view is even more romantic. All rooms have a balcony from which you can enjoy expansive views. You will have relaxing time as if you were having a great time aboard a luxury cruise ship. © 2019 Japan Golf Tourism Association (JGTA).